As the 2018-19 academic year begins, Conestoga’s newest full-time faculty and staff received a special welcome to the college from President John Tibbits at an event held at the Doon campus on Thursday, August 30. New campus facilities will open in both Brantford and Waterloo this fall, with further expansion plans now in development for campuses in Kitchener, Waterloo, Guelph and Milton. This fall, the college will welcome a record number of full-time students from across Canada and around the world who have chosen to live and learn here in our community as they take the next step toward career and life success. 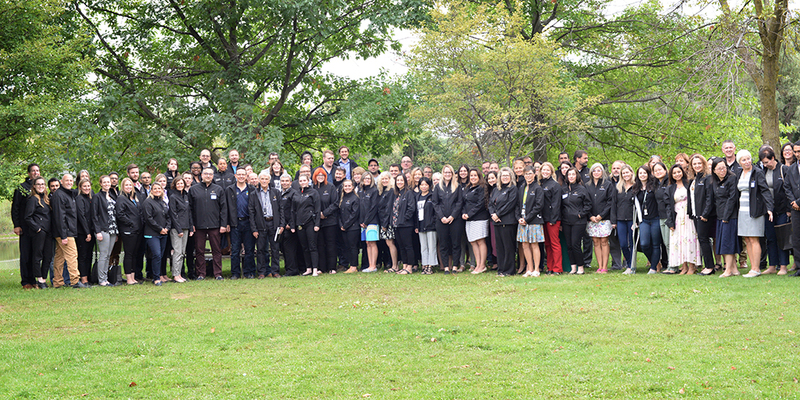 More than 100 new full-time employees have been hired at Conestoga over the last year to support expanded programming, contribute to student success and build essential capacity to serve the needs of students, industry partners and the community. The college now has more than 1,200 full-time employees. Conestoga’s newest full-time faculty and staff received a special welcome to the college from President John Tibbits at an event held at the Doon campus.